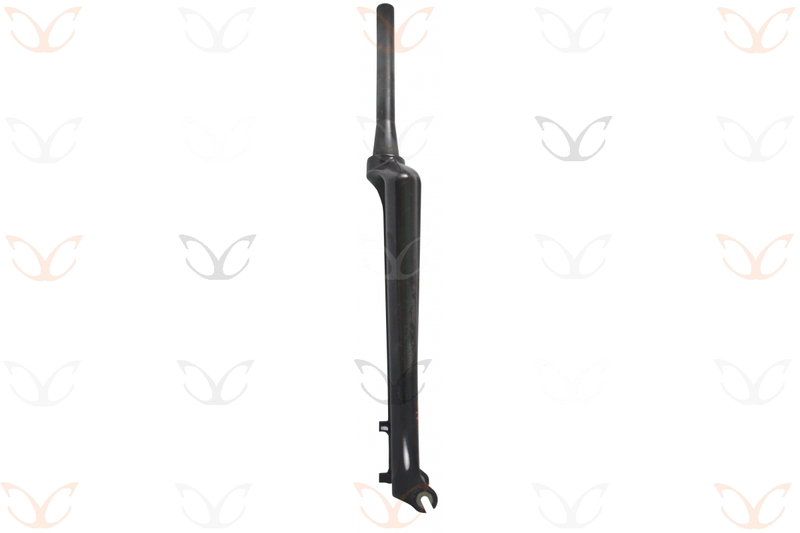 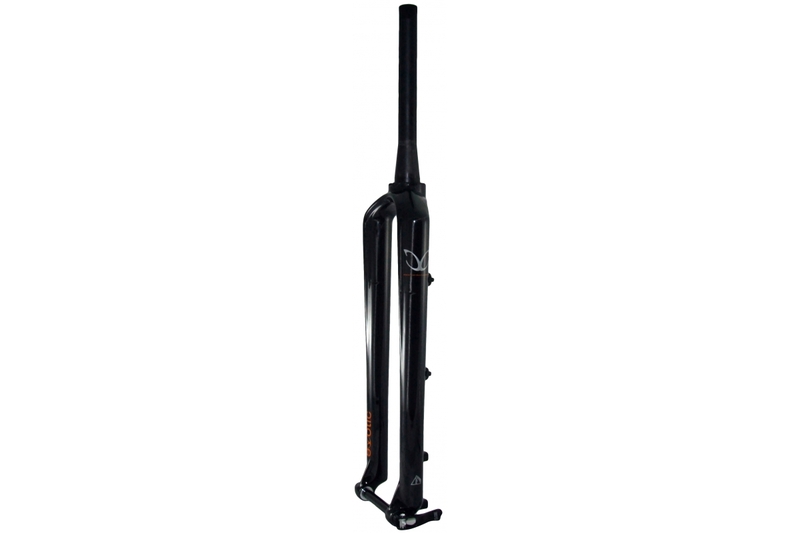 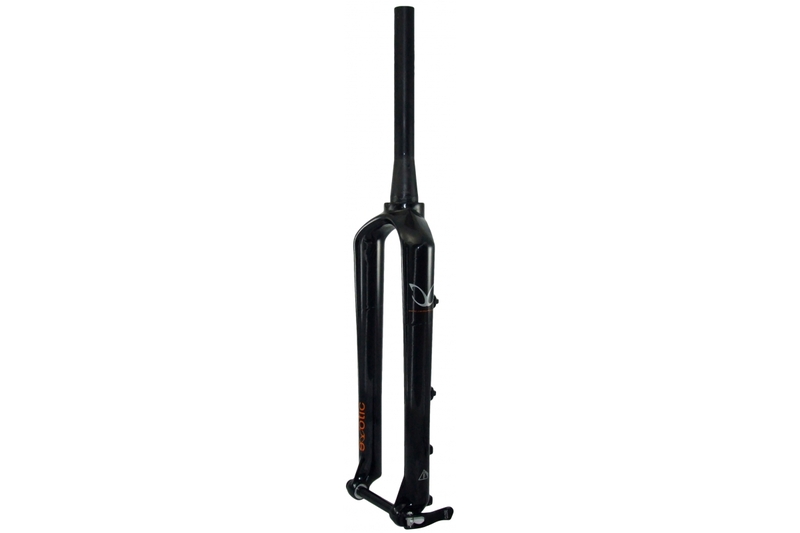 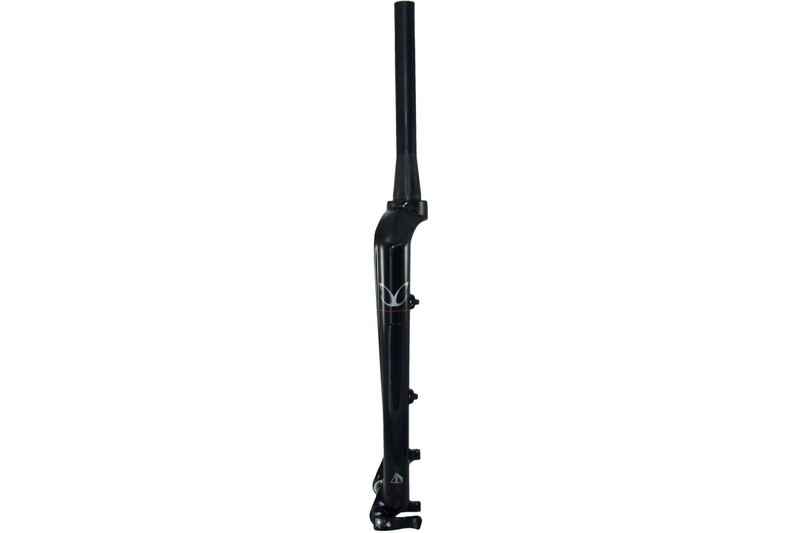 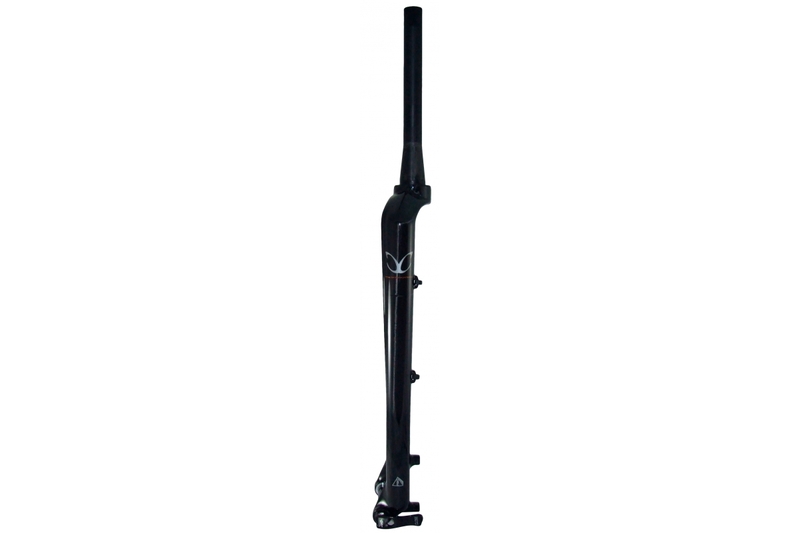 This eXotic Monocoque Mountain Bike fork is constructed as a single structural piece which makes it unlike any other eXotic fork. 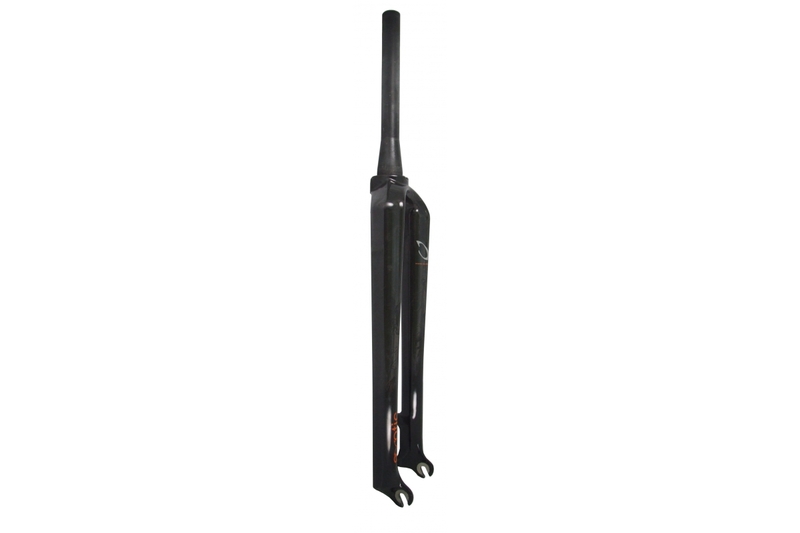 There are no joints, so the construction flows from tip to toe; from the carbon steerer to the crown to fork blades, and ending at the carbon drop outs. 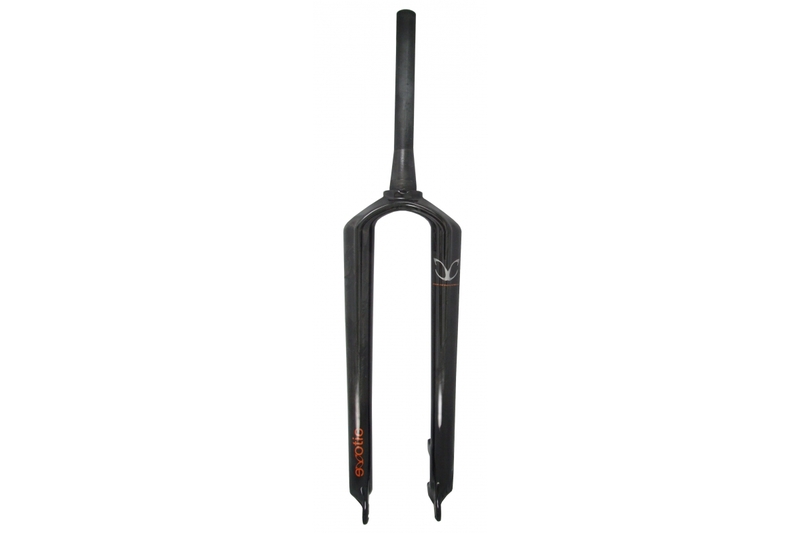 With an integral tapered carbon steerer and a ridge along the crown to increase lateral stiffness, you can be assured of precise tracking. 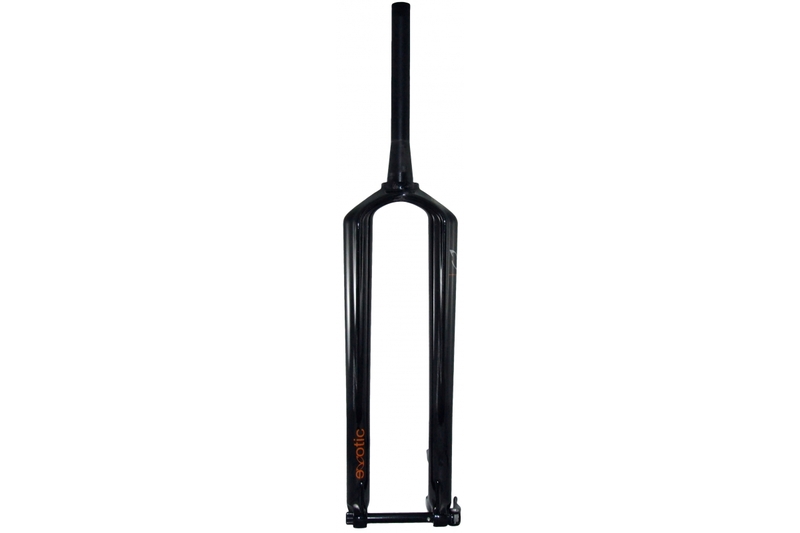 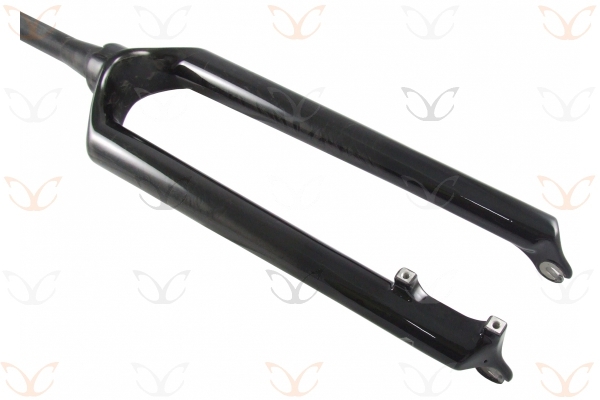 The highly optimised and uniquely shaped fork blades vary from round to oval throughout their length and are designed to reduce vibrations and hence increase rider comfort. These advanced technologies are implemented using a combination of unidirectional (UD) and high modulus 3K carbon to produce an extremely light and stiff fork, which is still remarkably comfortable to ride. 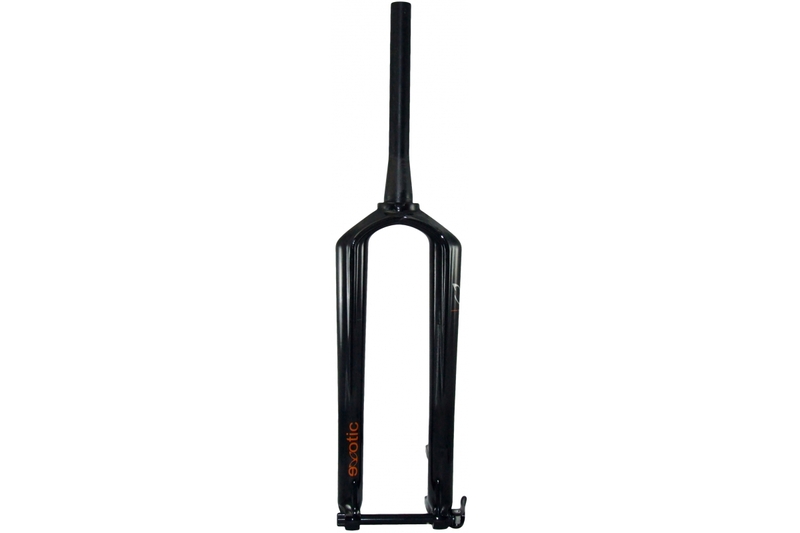 Monocoque UD Carbon Rigid, PM Disc 44.5cm 26in Wheel Monocoque 26"